At Aero 2013 in Germany, we ran into American Bill Canino owner of Sportair USA, the U.S. importer for TL Ultralights, maker of the Sting and the Sirius LSA. At Aero, the company offered their new tandem-seating Stream. Bill's company, Sportair USA, offers a wide range of aircraft and he gives us a view of his line, assembled through 38 trips to Europe. In this video we focus on all the offerings of TL Ultralights. At Aero 2013 in Germany, we ran into American Bill Canino owner of Sportair USA, the U.S. importer for TL Ultralights, maker of the Sting and the Sirius LSA. At Aero, the company offered their new tandem-seating Stream. Bill’s company, Sportair USA, offers a wide range of aircraft and he gives us a view of his line, assembled through 38 trips to Europe. In this video we focus on all the offerings of TL Ultralights. 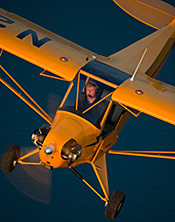 Bill Canino has imported the TL Ultralights line of Light-Sport Aircraft for many years. The first of their modern line is the Sting and its a series of models that have evolved steadily. In this video we speak with Bill and hear more about this very handsome S4 Sting, which has enjoyed regular innovations. 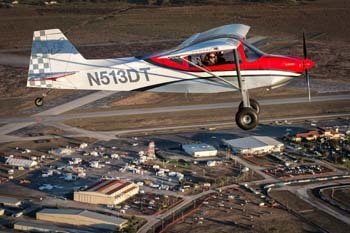 The company also makes the TL-3000 Sirius high wing all composite and Bill's company SportairUSA sells an entire line of LSA. 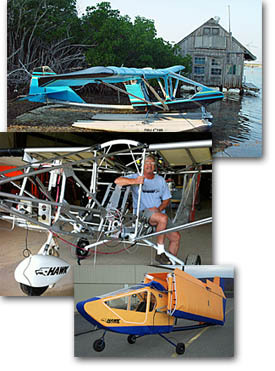 Bill Canino has imported the TL Ultralights line of Light-Sport Aircraft for many years. The first of their modern line is the Sting and its a series of models that have evolved steadily. In this video we speak with Bill and hear more about this very handsome S4 Sting, which has enjoyed regular innovations. The company also makes the TL-3000 Sirius high wing all composite and Bill’s company SportairUSA sells an entire line of LSA. We spoke with SportairUSA founder, Bill Canino, who represents a broad and varied line of Light-Sport Aircraft... all of which just happen to begin with the letter "S." We wanted to inform you about all these quality airplanes but we also wanted to ask Bill about all SportUSA's activities including their Arkansas FBO and a flock of interesting accessories items, some of which are available for other brands. 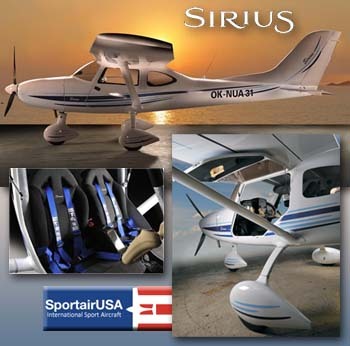 We spoke with SportairUSA founder, Bill Canino, who represents a broad and varied line of Light-Sport Aircraft… all of which just happen to begin with the letter “S.” We wanted to inform you about all these quality airplanes but we also wanted to ask Bill about all SportUSA’s activities including their Arkansas FBO and a flock of interesting accessories items, some of which are available for other brands. In its next generation model, the Sting S3 brings new sophistication to a Light-Sport Aircraft that was already one of the sleekest and best equipped models available. 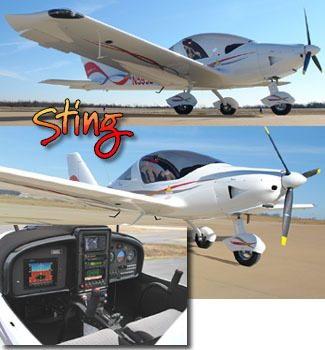 A leading seller, Sting comes with more standard features than most LSA, including safety-oriented airframe parachute and seat belt airbags. Sting is an all-carbon fiber construction. The Van's Aircraft / Synergy Air RV-12 flies above the Expo. Photographer extraordinaire, Jim Koepnick and his big lens. It was cool but abundant sunshine provided good conditions for an excellent event at the tenth Sebring. Morning winds died down and allowed plenty of demo flying opportunities and even for those who didn't go aloft, the Manufacturer's Showcase allowed visitors to see numerous aircraft doing low fly-bys. The combination of readily available demo flights that could be conducted with a minimum of hassle thanks to great support from contract tower personnel and the display of most LSA or light kits in recreational aviation offered ample opportunity for buyers to step up ... and sales action appeared quite strong, a sure sign of improving conditions after years of sluggishness. Many exhibitors reported multiple sales, proven by deposits changing hands and orders being written. Ken Scott of Van's Aircraft — which works closely with Synergy Air, builder of the ready-to-fly RV-12 SLSA — said it was the best show ever for his company. "We brought two aircraft to the show and I'm estimating we gave at least 50 demo flights," Scott said. "That's the beauty of this event; they make it easy to get our airplanes out to give demo flights and that helps sell airplanes." A wide variety of aircraft flew most of the day each of the four days. Obviously some very talented photographers were present as seen in Jim Koepnick's superb images presented with this article. He was joined by other professional journalists from several news organizations. Expo public relations people noted, "Four aircraft debuted at Expo [including] Ran's Aircraft's S-20 Raven, Tecnam Aircraft's new Sea Sky on floats, the only such model in the U.S., the Zigolo Ultralight Motorglider from Aeromarine-LSA, and the Super Petrel LS from Florida Light Sport Aviation." In addition, we saw the first public appearance of Progressive Aerodyne's Searey Elite powered by the 115-horsepower Rotax 914 turbo. Although Sonex staffers have attended with an inside display in prior years, the 2014 event saw the Wisconsin company that makes such affordable Sport Pilot eligible kits mount an aircraft display (photo). Bill Canino, President of SportairUSA, also called the event a successful one for his company. "We talked with many serious prospects and have a long list of folks who were willing to give us their information, indicating a serious interest in buying an aircraft. Our list from this event is longer than we gathered at other major air shows last year." Canino also had kind words for the helpfulness of some 240 volunteers. "They bend over backwards to help you with anything you need." Airport manager Mike Willingham and key man Gary Filip also praised the work of Air Boss, Inc., which managed air traffic operations. "All the pilots spoke very highly of how Air Boss managed air traffic flow and how cooperative they were, and we will definitely be bringing them back next year," Filip said. "George Cline and his team did a great job." 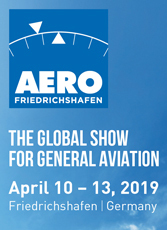 Expo Director Jana Filip announced the theme for Expo 2015 as "The Next Ten for the Next Gen," referencing that next year will kick off the Expo's second 10-year run now that the event completed its first ten years and has firmly established itself in the aviation calendar of events. The 2015 dates are January 15-18. A primary original goal of the Expo — which like most airshows works hard to pay its bills — was to attract attention to the airport and its capability as a potential base of operations. This tenth year may have seen the success of that goal as Willingham also hinted at a big announcement that Sebring Regional Airport will be making soon about a new major tenant. Stay tuned for more on that and other news from Sebring 2014. This article was prepared and uploaded from Bimini island in the Bahamas where I am attending the fourth Bahamas LSA fly-out arranged by Aviators Hot Line and AHL's Light Aviation Edition. Another flock of Light-Sport Aircraft flew over the Atlantic to the only other country that accepts pilots using the Sport Pilot certificate. It was cool but abundant sunshine provided good conditions for an excellent event at the tenth Sebring. Morning winds died down and allowed plenty of demo flying opportunities and even for those who didn’t go aloft, the Manufacturer’s Showcase allowed visitors to see numerous aircraft doing low fly-bys. The combination of readily available demo flights that could be conducted with a minimum of hassle thanks to great support from contract tower personnel and the display of most LSA or light kits in recreational aviation offered ample opportunity for buyers to step up … and sales action appeared quite strong, a sure sign of improving conditions after years of sluggishness. Many exhibitors reported multiple sales, proven by deposits changing hands and orders being written. Ken Scott of Van’s Aircraft — which works closely with Synergy Air, builder of the ready-to-fly RV-12 SLSA — said it was the best show ever for his company. Read More About: Rans Incorporated RV-12 S-20 Raven SportairUSA Sting S3/S4 TL Ultralight Van's Aircraft, Inc.
CGS Aviation's Hawk with 1,500 flying is much loved by its owners. Proprietor Danny Dezauche sits in his Rotax 912-powered Hawk nearing completion. M-Squared owner Paul Mather stands by his Breese II model and in front of a rare Quicksilver GT500, the lone example of a Primary Category aircraft still flying. Inside SportairUSA's unique hangar/office, Dan visits with boss Bill Canino (C) and Larry Martin (L) under the mockup of the TL Sirius LSA. Aviators Hot Line, one of many titles produced by Heartland Communications, is housed in a multistory building in Fort Dodge, Iowa. Sebastien Heintz runs successful kit producer Zenith Aircraft in Mexico, Missouri. Watch for our next post about their CH-750 STOL or watch the video now. Plenty of folks think LSA are mainly carbon fiber speedsters with autopilots and huge computer screen instrumentation. No doubt, we have some beauties that are equipped like luxury sport planes. If you've got the budget, the Light-Sport industry has the aircraft. Yet not everyone can afford those birds and not everyone wants one. *** FAA pretty much eliminated ultralights when they came out with the SP/LSA rule... well, except for genuine ultralights of the single place variety. The latter still exist, and yes, you can still buy a ready-to-fly ultralight "vehicle" for which you need no N-number, no medical, and no pilot license. Those 254-pound (max empty weight) aircraft prove America remains the land of the free and I, for one, love to fly them. *** On our way north for AirVenture my wife, Randee, and I made a series of stops. In Alabama — just a mile apart — we hit two fixed wing producers of "ultralights" that qualify as official SLSA. You can buy either of these ASTM-certified two-seat Light-Sports for $35,000 to $40,000; you can save even more with kit versions. *** CGS reported a couple sales after our visit when we saw proprietor Danny Dezauche (de-ZOSH) fitting a CGS Hawk with a Rotax 912 (photo). Danny bought the CGS Aviation operation from founder and light aviation icon, Chuck Slusarczyk. (Evidently Chuck needed to be sure someone with a tongue-twisting last name kept the brand alive.) *** After CGS, we went to Paul Mather's M-Squared where we toured his facility adorned with fascinating photos of Paul's many years in light aviation (he put in 17 years at Quicksilver before striking out on his own). Today, he augments his airplane manufacturing by being an FAA Designated Airworthiness Representative. 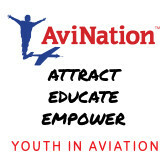 *** While both of these companies are struggling with the rest of aviation, each is prepared to stay the course and keep offering genuinely low-cost ways to get in the air. Paul likes to say his airplanes aren't fast, they're fun! Amen to that for both brands. *** Heading north we paid a visit to SportairUSA, home to this impressive list of terrific LSA: Sting, Sirius, iCub, and soon, the aerobatic Snap (come to Oshkosh and the LSA Mall for more info). Boss Bill Canino is an architect by training and his unique office-in-a-hangar shows his flair for decorating (photo). When a tornado leveled their earlier hangars, they moved into other quarters yet you'd hardly know you were in a hangar until you left the building. *** We ended our tour at the home of Aviators Hot Line, the much appreciated LAMA sponsor that makes possible the LSA Malls at Sun 'n Fun and Oshkosh. These industry displays have proven popular enough with attendees that both organizations show the LSA Mall on their grounds maps, a distinction assigned only to airshow "destinations." *** We also visited kit giant, Zenith Aircraft, where we each flew in the STOL CH 750... more on that in another post coming soon. America's heartland is home to some interesting enterprises that make up the diverse field of Light-Sport aviation. Randee and I enjoyed visiting them and as our nation celebrates its birthday, we're very pleased these businesses are keeping the faith of sport and recreational aviation. Happy July 4th! Plenty of folks think LSA are mainly carbon fiber speedsters with autopilots and huge computer screen instrumentation. No doubt, we have some beauties that are equipped like luxury sport planes. If you’ve got the budget, the Light-Sport industry has the aircraft. Yet not everyone can afford those birds and not everyone wants one. *** FAA pretty much eliminated ultralights when they came out with the SP/LSA rule… well, except for genuine ultralights of the single place variety. The latter still exist, and yes, you can still buy a ready-to-fly ultralight “vehicle” for which you need no N-number, no medical, and no pilot license. Those 254-pound (max empty weight) aircraft prove America remains the land of the free and I, for one, love to fly them. *** On our way north for AirVenture my wife, Randee, and I made a series of stops. In Alabama — just a mile apart — we hit two fixed wing producers of “ultralights” that qualify as official SLSA. It's a great thing when a plan comes together. Consider an extension of the LSA Tour that debuted after Sebring 2011. 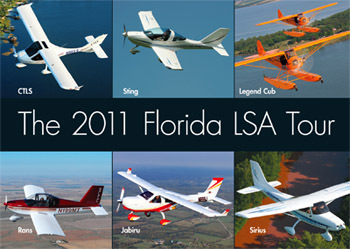 Then, five or six brands flew around to a half dozen Florida airports and showed their LSA to groups of varying sizes. It was a first attempt, planned rather late without sufficient time to promote. *** The next tour is also working to pull itself together but the group has plans including summer tours, a website and more. The concept definitely works and here's a fact: Most pilots don't attend all the airshows. So why not bring the show where the people are? *** The Florida LSA Tour that took place the week after Sebring was principally organized by Bill Canino and Dave Graham. Bill's early logic was, "We're in Florida already and we have to fly home through the state after Sebring ends. Since everyone can't come to Sebring, we thought we'd take the show to them." *** The idea, involving several competitors working cooperatively, proved to be a success in the way that matters most to sellers and buyers: airplanes sold. Several orders were taken according to comments from various reps. It makes sense to me and to many others. 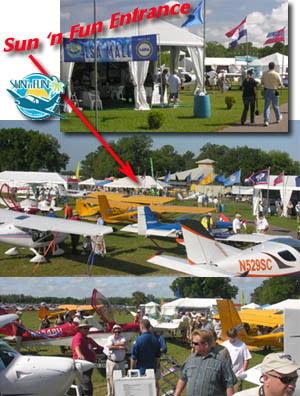 We saw an early example of this "small show" concept with the EAA Sport Pilot Tour of 2005 and 2006. That 13-show series also sold airplanes. *** The post-Sun 'n Fun Tour is still being finalized but plans stops in Savannah GA, Greenville SC, and two airports around Atlanta GA. I'll have more here when the details are released. 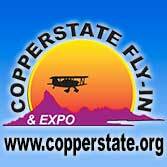 • • • Before Sun 'n Fun Remos is hosting an owners fly-in at Florida's Sebastian Municipal Airport (X26). On Monday, March 28 between 10 AM and 3 PM, Remos will host an open house at its new national sales and marketing office. They'll offer tours of the facilities, discussions about aircraft maintenance, a chance to fly the Remos Flight Training Simulator, free lunch, and, for those who arrive in a Remos, a free top off of their fuel tank. *** "The idea is to have a social event where we can treat our customers royally," said Earle Boyter, Vice President of Marketing and Sales. He also listed discussions about a Remos owners' group being organized by fellow owner, Don Thomsen. *** Like many top aircraft, Sun 'n Fun attendees can find a Remos on display in the LSA Mall with easy directions to their main exhibit. The LSA Mall is just inside the main Sun 'n Fun 2011 entrance. It’s a great thing when a plan comes together. Consider an extension of the LSA Tour that debuted after Sebring 2011. Then, five or six brands flew around to a half dozen Florida airports and showed their LSA to groups of varying sizes. It was a first attempt, planned rather late without sufficient time to promote. *** The next tour is also working to pull itself together but the group has plans including summer tours, a website and more. The concept definitely works and here’s a fact: Most pilots don’t attend all the airshows. So why not bring the show where the people are? *** The Florida LSA Tour that took place the week after Sebring was principally organized by Bill Canino and Dave Graham. Bill’s early logic was, “We’re in Florida already and we have to fly home through the state after Sebring ends. Since everyone can’t come to Sebring, we thought we’d take the show to them.” *** The idea, involving several competitors working cooperatively, proved to be a success in the way that matters most to sellers and buyers: airplanes sold. Every now and then the marketing geniuses in Light-Sport aviation have an exceptionally good idea. Here's one of them. Initially organized by SportairUSA's Bill Canino and now-American Legend marketer Dave Graham (formerly of Gobosh), a flock of planes including five of the most popular brand names will set off for Sebring-After-Sebring... or what they are calling The 2011 Florida LSA Tour. *** "We're in Florida already and we have to fly home through the state after Sebring ends," explained Canino. "Since everyone can't come to Sebring, we thought we'd take the show to them." *** Bill and Dave established a strategically-planned series of stops, contacted EAA chapters at several locations and asked them for an invitation, and offered them a cash incentive to assist with pulling out the members for the date of arrival. I hope this works well as it's a grand idea in the LSA tradition of open and friendly competition. *** Each day, the Florida LSA Tour will show their birds from 10 AM to 3 PM. Their schedule appears below with contact info. 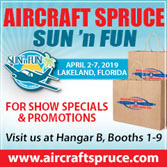 *** The tour includes these brands and models: SportairUSA's Sting, Sirius, and iCub; American Legend's Cub, Flight Design's CTLS, Rans' S-19, and JabiruUSA's J-230 (represented by Sportplanes Florida). It could be more than these as other brands were cordially invited. One of the greatest aspects I've noticed in my work to assist the LSA industry is a willingness to cooperatively market... to sit wingtip-to-wingtip on a ramp and show many handsome flying machines. Each representative is well aware a customer may be attracted to the other rep's aircraft but this also works both ways. And having a whole flock of shiny new LSA is a proven way to attract more interest (much like the popular LSA Malls). Other companies have done tours; nothing brand-new in that effort. But I can't name another effort where a group of airplane sellers worked together and invited along even more companies. *** I hope the EAA chapters turn out well for the gatherings. I know I'll be at the stop at my home airport (Spruce Creek Fly-in). Go Tour! Every now and then the marketing geniuses in Light-Sport aviation have an exceptionally good idea. Here’s one of them. Initially organized by SportairUSA’s Bill Canino and now-American Legend marketer Dave Graham (formerly of Gobosh), a flock of planes including five of the most popular brand names will set off for Sebring-After-Sebring… or what they are calling The 2011 Florida LSA Tour. *** “We’re in Florida already and we have to fly home through the state after Sebring ends,” explained Canino. “Since everyone can’t come to Sebring, we thought we’d take the show to them.” *** Bill and Dave established a strategically-planned series of stops, contacted EAA chapters at several locations and asked them for an invitation, and offered them a cash incentive to assist with pulling out the members for the date of arrival. I hope this works well as it’s a grand idea in the LSA tradition of open and friendly competition. Not a company to rest on their laurels, TL Ultralight -- represented in America since the beginning of LSA by Sportair USA -- debuted their Sting S4 at the German Aero show in April. Besides developing an all-new high-wing design (the TL-3000 Sirius ...photo inset) -- the S4 is the newest generation of the Czech company's popular low wing, all-carbon-fiber Sting. Sting was the #5 SLSA ever certified and it has developed a solid U.S. following. *** TL designers know how to mold smooth lines into their designs, but they have also been dedicating hours of work to further refine one of the more evolved LSA on the market. Here's a short list of the new developments for the Sting S4: * A stiffer-framed, better-sealed canopy improves ventilation with a vent port built right in the canopy frame; * A new instrument panel better accommodates large screen systems like Dynon's SkyView (lower photo); * The top of the instrument panel now provides a couple handholds to assist entry/exit plus a central cavity that can hold a few small items; * Adjustable rudder pedals range 10 inches via an easy control between your lower legs (see in lower left photo in front of joystick); * Baggage capacity has been increased to 55 pounds, the compartment has been upholstered, and has a cargo net; * The entire tri-gear has been completely redesigned to provide better shock absorption and ground handling; * A new engine cowling improves cooling; * the vertical tail has been enlarged to improve stability; and, * Manual flaps have given way to easy-to-use electric flaps with the controller placed in a slightly enlarged center console. Pair all these upgrades to the decked-out equipment list supplied by Sportair USA and S4 should continue the design's winning ways. Not a company to rest on their laurels, TL Ultralight — represented in America since the beginning of LSA by Sportair USA — debuted their Sting S4 at the German Aero show in April. Besides developing an all-new high-wing design (the TL-3000 Sirius …photo inset) — the S4 is the newest generation of the Czech company’s popular low wing, all-carbon-fiber Sting. Sting was the #5 SLSA ever certified and it has developed a solid U.S. following. *** TL designers know how to mold smooth lines into their designs, but they have also been dedicating hours of work to further refine one of the more evolved LSA on the market. Here’s a short list of the new developments for the Sting S4: * A stiffer-framed, better-sealed canopy improves ventilation with a vent port built right in the canopy frame; * A new instrument panel better accommodates large screen systems like Dynon’s SkyView (lower photo); * The top of the instrument panel now provides a couple handholds to assist entry/exit plus a central cavity that can hold a few small items; * Adjustable rudder pedals range 10 inches via an easy control between your lower legs (see in lower left photo in front of joystick); * Baggage capacity has been increased to 55 pounds, the compartment has been upholstered, and has a cargo net; * The entire tri-gear has been completely redesigned to provide better shock absorption and ground handling; * A new engine cowling improves cooling; * the vertical tail has been enlarged to improve stability; and, * Manual flaps have given way to easy-to-use electric flaps with the controller placed in a slightly enlarged center console. In studio photos, Sirius conveys a smooth and modern aircraft. GA pilots will love the lengthy standard equipment list and can even add sophistication like the ForeSight infrared vision system that lets a pilot "see" even when visibility is obscured. Watch the Sirius video. Most folks following the Light-Sport Aircraft development know the Sting, refreshed for the U.S. market with the S3 model. I covered the development announcement of TL Ultralight's new high wing. Now, welcome to the TL3000 Sirius as the newest SLSA to hit the market in a blur of new offerings seemingly triggered after the industry hit #100. *** Importer SportairUSA maneuvered their low-wing, all-carbon-fiber Sting S3 into one of the best-equipped LSA on the market. Adding a high wing gives the company new versatility to meet market interest. *** I see the potential for keen demand from GA pilots, especially those legions trained in high-wing, yoke-controlled Cessna models. Sirius' 48-inch wide cabin is nine inches wider than a C-172 and it can haul 420 pounds of payload even when topped off with 30 gallons of fuel that can take you 800 miles (numbers will vary depending how you equip a Sirius). To build payload like its low-wing sibling, the composite Sirius also makes broad use of carbon fiber. With cruise listed at 116 knots (133 mph), Sirius is a speedy performer. *** Sirius can also be float equipped and since it has been designed for 1,430 pounds of gross, those floats won't displace much payload. *** Sirius comes in at $130,900 but is extremely well equipped with TruTrak electronics, Garmin 496, PCAS collision avoidance and SportairUSA's own GreenLine EMS plus radio and ELT, a Galaxy airframe parachute and more. Most folks following the Light-Sport Aircraft development know the Sting, refreshed for the U.S. market with the S3 model. I covered the development announcement of TL Ultralight’s new high wing. Now, welcome to the TL3000 Sirius as the newest SLSA to hit the market in a blur of new offerings seemingly triggered after the industry hit #100. *** Importer SportairUSA maneuvered their low-wing, all-carbon-fiber Sting S3 into one of the best-equipped LSA on the market. Adding a high wing gives the company new versatility to meet market interest. *** I see the potential for keen demand from GA pilots, especially those legions trained in high-wing, yoke-controlled Cessna models. Sirius’ 48-inch wide cabin is nine inches wider than a C-172 and it can haul 420 pounds of payload even when topped off with 30 gallons of fuel that can take you 800 miles (numbers will vary depending how you equip a Sirius). Bill Canino (right) is the U.S. importer for TL Ultralight and their Sting S3 and TL-3000 Sirius. To the left is David Dobogai, an American living in the Czech Republic to run TL. SportairUSA reports more than 70 Stings have been delivered in the USA and 500 are flying worldwide. See the Sting S3 at AOPA Expo '08. Recently I visited Cirrus Design. I saw progress on the Cirrus Vision jet and the new Garmin Perspective panel for the SR22. Both aircraft are full of high-end avionics. 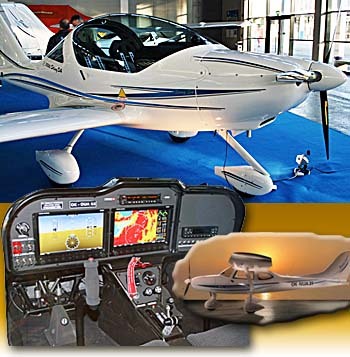 *** Down here in the world of Light-Sport Aircraft, we have far less costly choices for flat-screen avionic displays (panels in the Vision or SR22 literally cost more than an entire LSA). Yet the data each set of instruments uses is identical. LSA are also often equipped with autopilots...again, far less expensively compared to the certified units GA builders install. *** Recently SportairUSA announced their new "Straight & Level" button. If you find yourself in the soup unexpectedly, the pilot or passenger can push one button causing the autopilot to take over by guiding the airplane while the occupants assess their next move. It's a brilliant idea to give pilots a breather. "The Straight and Level system is a significant advance in flight safety for Sting owners," says Bill Canino, operator of SportairUSA, "That's why we are providing it at no additional cost on all of ourTruTrak EFIS/autopilot equipped Stings." The SL button even turns the autopilot on if it was off...a mighty smart airplane at a fraction of the cost of similarly equipped GA airplanes. Recently I visited Cirrus Design. I saw progress on the Cirrus Vision jet and the new Garmin Perspective panel for the SR22. Both aircraft are full of high-end avionics. *** Down here in the world of Light-Sport Aircraft, we have far less costly choices for flat-screen avionic displays (panels in the Vision or SR22 literally cost more than an entire LSA). Yet the data each set of instruments uses is identical. LSA are also often equipped with autopilots…again, far less expensively compared to the certified units GA builders install. *** Recently SportairUSA announced their new “Straight & Level” button. If you find yourself in the soup unexpectedly, the pilot or passenger can push one button causing the autopilot to take over by guiding the airplane while the occupants assess their next move. It’s a brilliant idea to give pilots a breather. 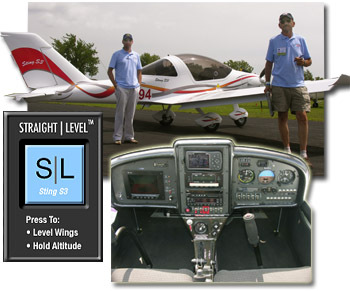 “The Straight and Level system is a significant advance in flight safety for Sting owners,” says Bill Canino, operator of SportairUSA, “That’s why we are providing it at no additional cost on all of ourTruTrak EFIS/autopilot equipped Stings.” The SL button even turns the autopilot on if it was off…a mighty smart airplane at a fraction of the cost of similarly equipped GA airplanes. If you missed the Sun 'n Fun LSA Mall in 2008, please accept an invitation for April 21-26, 2009. Sun 'n Fun 2008 is history, but planning is already underway for the 2009 event. Event boss John Burton confirmed we will again have the LAMA-hosted LSA Mall right at the front gate next April 21-26. A major success at this year's Lakeland, Florida airshow, the industry Mall presentation featured 17 Special Light-Sport Aircraft. Weather prevented Fantasy Air's Allegro from attending. Two days before the event, a tornado crushed a Sting S3 planned for display. And work at Quicksilver Manufacturing postponed the exhibit of the GT500 (they're finishing SLSA approval, reports national sales manager, Todd Ellefson). *** The 17 who were in the '08 LSA Mall enjoyed significant traffic all week and virtually every visitor to Sun 'n Fun was at least exposed to Light-Sport Aircraft in a wide variety (although we were not able to enlist any trike or powered parachute companies). Aircraft shown were: Flight Design CTLS, AirMax SeaMax, Jabiru USA J-250, IndUS Thorpedo, CubCrafters Sport Cub, FP&A A-22 Valor, Sportsplanes.com Breezer II, Just Aircraft Highlander on floats, Lambada motorglider, Gobosh G-700S, Remos G-3, CZAW SportCruiser, Legend Cub, AMD Patriot and CH-601, Evektor SportStar, and Paradise P-1. *** Joining LAMA inside the big welcome tent were Rotax and Jabiru LSA engines, BRS emergency parachutes, AirFleet Capital (LSA financing), and ASA training resources featuring Paul Hamilton (who also made a special 30-minute DVD of LSA flying in scenic locations). LAMA plus tens of thousands of visitors thank all who participated! Sun ‘n Fun 2008 is history, but planning is already underway for the 2009 event. Event boss John Burton confirmed we will again have the LAMA-hosted LSA Mall right at the front gate next April 21-26. 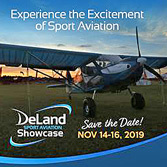 A major success at this year’s Lakeland, Florida airshow, the industry Mall presentation featured 17 Special Light-Sport Aircraft. Weather prevented Fantasy Air’s Allegro from attending. Two days before the event, a tornado crushed a Sting S3 planned for display. And work at Quicksilver Manufacturing postponed the exhibit of the GT500 (they’re finishing SLSA approval, reports national sales manager, Todd Ellefson). *** The 17 who were in the ’08 LSA Mall enjoyed significant traffic all week and virtually every visitor to Sun ‘n Fun was at least exposed to Light-Sport Aircraft in a wide variety (although we were not able to enlist any trike or powered parachute companies). 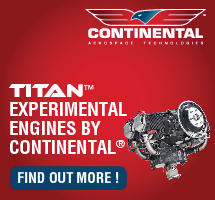 High Priced Light-Sport Aircraft; What’s Going On? Recently the euro hit 1.56 to the dollar. 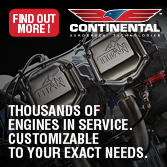 Watch for LSA prices to increase...again. 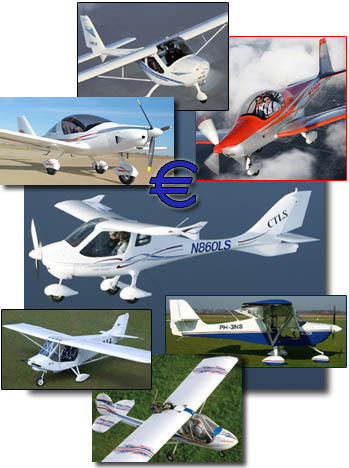 Above the CTLS are three premium brands: (L-R) Sting S3, Remos G-3, and SkyLeader 500. Below are three bargain SLSA: X-Air LS, Sport Hornet, and EuroFox. Lots of folks are wondering about, or complaining about, the seemingly high prices of Light-Sport Aircraft. Recently a prior editor-in-chief of EAA publications, Scott Spangler, wrote a blog on JetWhine. Scott focused on expensive avionics as one reason LSA cost so much. While a factual observation, I believe the price increase is more complex. *** First, LSA suppliers install equipment like autopilots because buyers ask for them. 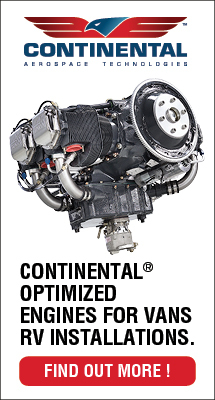 A large chunk of all LSA are sold to "retiring" GA pilots used to such equipment in their Cessna or Bonanza. Simpler LSA are available; most suppliers have one. But customers are buying the loaded-panel jobs. *** Let's look closer at those rising prices. Five years ago, in the pre-dawn of SP/LSA, a CT was selling for $60,000. Today it's $125,000. By far the largest piece of that doubling is the euro's soaring value compared to the dollar. Were the currencies at parity, that $125,000 would be $80,000. By the way, suppliers earn not one cent of profit from that extra $45,000! The "real" (non currency exchange) increase from $60,000 five years ago -- about $20,000 -- is generated by two factors. Most obvious are the avionics and other accessories. A $125,000 CTLS comes standard with dual glass screens, a sophisticated GPS, radio, transponder, a $5,000 emergency airframe parachute, and more. The second factor is the time value of money -- another 18% or $10,000. So an $80,000 price (if the euro equaled the dollar as it did in 2002) is not much higher than the $60,000 of 2003. 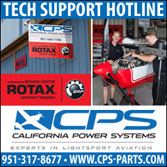 *** Despite those price hikes, here in 2008 you can choose the ready-to-fly X-Air LS for $46,000, the Sport Hornet for $49,000, the EuroFox for $69,000, or the SportCruiser for $79,000. Even simpler aircraft may be coming in the $40-45,000 range. Those low numbers barely exceed the component cost of kit aircraft. *** Regardless of the preceding discussion higher prices remain a fact of life. You still have to shell out $125,000 for a CTLS (you can finance this for a bit more than $800 a month) though you get a lot of airplane for the money. If buyers truly want cheaper, simpler aircraft, they ARE available. Lots of folks are wondering about, or complaining about, the seemingly high prices of Light-Sport Aircraft. Recently a prior editor-in-chief of EAA publications, Scott Spangler, wrote a blog on JetWhine. Scott focused on expensive avionics as one reason LSA cost so much. While a factual observation, I believe the price increase is more complex. *** First, LSA suppliers install equipment like autopilots because buyers ask for them. A large chunk of all LSA are sold to “retiring” GA pilots used to such equipment in their Cessna or Bonanza. Simpler LSA are available; most suppliers have one. But customers are buying the loaded-panel jobs. *** Let’s look closer at those rising prices. Five years ago, in the pre-dawn of SP/LSA, a CT was selling for $60,000. Today it’s $125,000. By far the largest piece of that doubling is the euro’s soaring value compared to the dollar. Were the currencies at parity, that $125,000 would be $80,000. Those attending Sebring LSA Expo can examine S3 live and up close. Sebring starts tomorrow and runs through Sunday the 20th. C'mon down, y'all! SEBRING 2008 UPDATE -- Through the first three years of LSA sales StingSport from TL Ultralights has earned the #7 rank equaling an estimated 5% of the U.S. market. The new Sting S3 should push the popularity of this 98% carbon fiber low wing. S3 has a new fully-tapered wing and redesigned elevator trim. According to Bill Canino, president of SportairUSA, "Lower stall speed, shorter take-off roll, faster climb rate, balanced controls and exceptional slow flight characteristics are among the results." Clean stall speed is 39 knots (45 mph); with full flaps stall comes at 34 knots (39 mph). Cruise speed at 75% power is 116 knots (133 mph), according to SportairUSA. "Rate of climb with the 100 hp Rotax 912S is better than 1,100 fpm and take-off ground roll has been measured at 255 feet," added Bill. *** A basic fly-away Sting S3 including the GreenLine EMS is priced at $102,900. 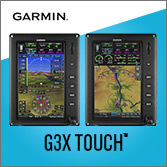 Load it up with an advanced analog panel or the Dynon EFIS D100, Garmin 496 with weather, SL40 radio, GTX327 transponder, PCAS collision avoidance, plus night lighting and S3 becomes very well prepared for cross-country flight at $120,500 to $123,500. In addition, StingSport comes with a long list of standard safety features such as airframe parachute. SEBRING 2008 UPDATE — Through the first three years of LSA sales StingSport from TL Ultralights has earned the #7 rank equaling an estimated 5% of the U.S. market. The new Sting S3 should push the popularity of this 98% carbon fiber low wing. S3 has a new fully-tapered wing and redesigned elevator trim. According to Bill Canino, president of SportairUSA, “Lower stall speed, shorter take-off roll, faster climb rate, balanced controls and exceptional slow flight characteristics are among the results.” Clean stall speed is 39 knots (45 mph); with full flaps stall comes at 34 knots (39 mph). Cruise speed at 75% power is 116 knots (133 mph), according to SportairUSA. “Rate of climb with the 100 hp Rotax 912S is better than 1,100 fpm and take-off ground roll has been measured at 255 feet,” added Bill. *** A basic fly-away Sting S3 including the GreenLine EMS is priced at $102,900.